Whilst i was wandering around Comic Con this weekend, I met a nice chap called Nigel Moran who is in the process of completing his film ‘Mayhem Behind Movies‘. 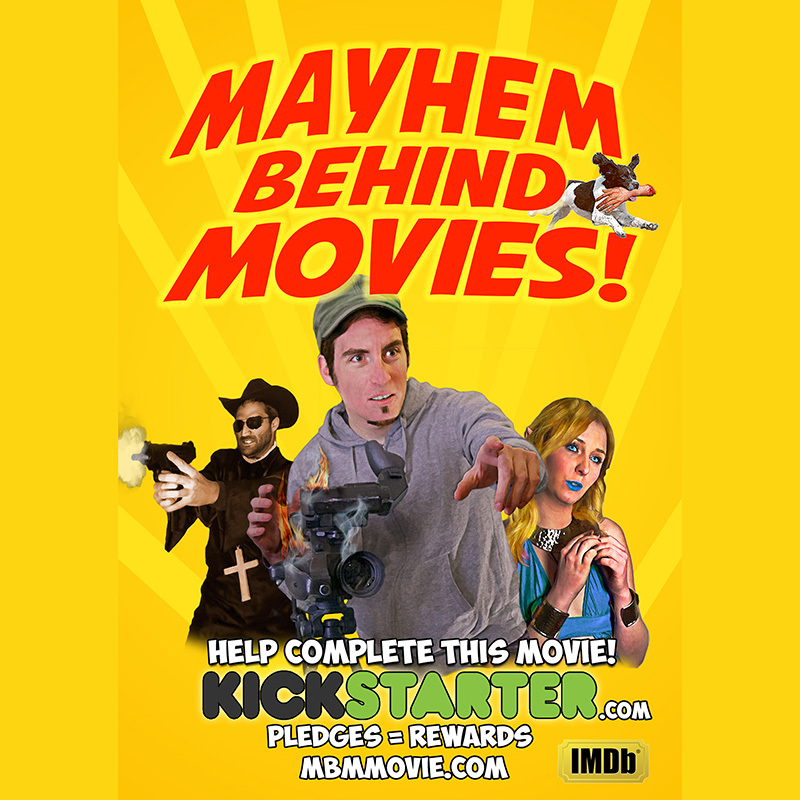 Mayhem Behind Movies is an Award Winning action packed comedy following Kevin Knight, an ambitious struggling no-budget filmmaker, on his mission to complete his first big-break movie before the United Kingdom Movie Awards. Kevin soon finds himself in turmoil as he races against the clock in a make or break scenario packed with side-splitting and nail-biting moments. Will Kevin finish the Movie in enough time with all the odds stacked up against him?.. He’s currently running a Kickstarter campaign to help fund the final bit of filming, and as regular readers will know, we like to support little indie projects like this here at Geektown, so if you’d like to help Nigel with that final push over the finish line, hop on over to his Kickstarter page and donate. Completing the film would fulfill Nigel Moran’s life ambition, and will help the careers of over 150 young talented filmmakers to putting a smile on the elderly involved. Mayhem Behind Movies stars Phil Perez (Ridley Scott’s upcoming movie Exodus), Carl Wharton ( Uwe Boll’s Apocalypse Z) and Sarah Keating (Following The Wicca Man). Click here to go to their Kickstarter page, you can also find their website here, and their facebook here.